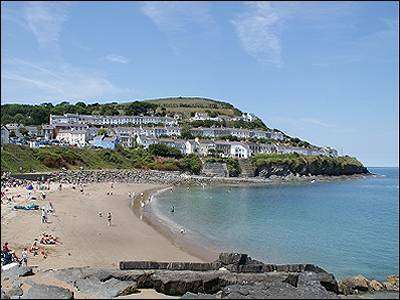 Bryn Cottage, New Quay - sleeps 6. 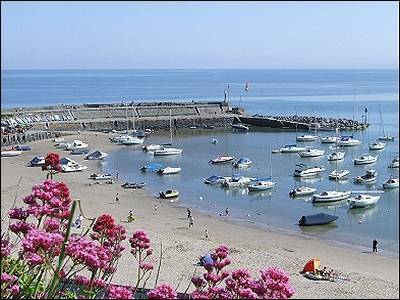 Bryn Cottage is a traditional Welsh coastal cottage in a convenient location - a short walk from the main road and fronting a quiet lane, at the upper end of Francis Street, within close walking distance of the beaches, harbour, shops and restaurants of New Quay. Off-road parking for up to 2 cars is close by. Weekly prices from £365 to £655. Short breaks available in low season only - not school holidays - minimum 3 nights.. Weekly bookings Friday to Friday. Regret no pets. Accommodation - The cottage has been extensively refurbished in recent years, the most charming accommodation provides Front Porch with sea views, Reception Hall, Front Sitting Room, Kitchen/Dining Room, Utility Room with washing machine and dish-washer, leading through to Sun Lounge/Conservatory. There is a downstairs Bathroom with bath and electric shower. Bedroom 1 has a double bed, built in wardrobes, chest of drawers, bedside tables with lamps and a radio alarm clock and room for a travel cot. Bedroom 3 has bunk beds, wardrobe and room for a travel cot. Bed linen is provided, although you will need to bring your own towels and beach towels. There is also an upstairs Cloak Room and toilet. To the rear of the property is a raised decking area with lovely views glimpsing the sea and a terraced cottage garden. Parking for two cars a short walk from the cottage. Price range from £365 (low season) to £655 (high season). Bed linen is provided, although you will need to bring your own towels and beach towels. all electricity and heating included.